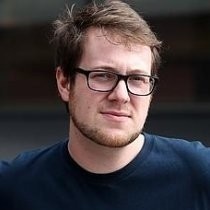 Jackson Palmer is a Product Manager at Adobe. He created the cryptocurrency Dogecoin as a joke in 2013. Was just tipped off to the fact it costs 500 GAS (currently US$13k+) to deploy a single smart contract on the NEO network. One thing I find interesting about these "next-gen" and "scalable" blockchains is that although they've been released, transaction volume is scarily low. For instance, #Nano is processing a whopping 0.2 transactions per second currently. The entire Cardano network is currently centrally controlled by @InputOutputHK and processes a whopping ~50 transactions *per hour*. This thing definitely deserves a $3.5B market cap and @coinbase listing, right? .... right? Starting to wonder if the XRP community is actually a sophisticated bot network or simply a bunch of 14-year-olds who stole their parents' credit cards. The most hilarious part of this Brave/BAT drama is the company admitting that the BAT rewards protocol does not utilize a decentralized ledger and that regarding reward/tipping data, "all can be erased". Augur updated their contract so it's no longer pauseable... good stuff. It still includes the ability for the Augur team to upgrade the contract and essentially "hard fork" the network, but token migration is opt-in. As far as I know, hardly anyone is using things like Gnosis, Storj, etc., though. They're neat hobby projects without user bases. I would wager the bulk of the token holders are only there for a price pump on the token itself. I think it says a lot about the state of the cryptocurrency space in general that a currency with a dog on it, which hasn't released a software update in over 2 years, has a $1B+ market cap.